oh, how could they throw that away...but happy for you they did!!!! SHUT UP! 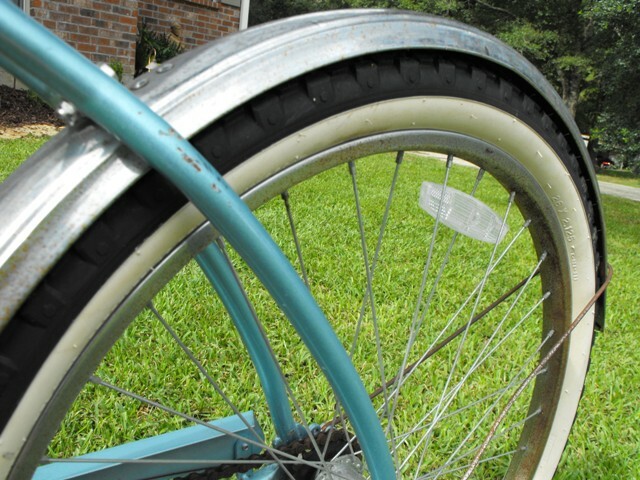 On the curb? What a great find! 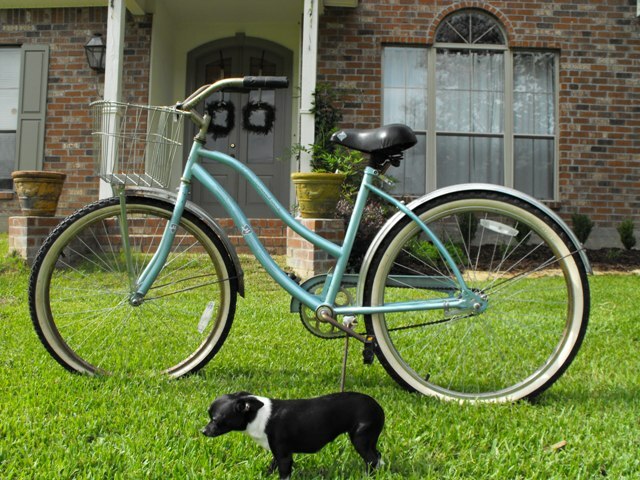 Been looking for a cute bike. I might be just a little bit envious right now. Have a great weekend! Your sooooo lucky! Wish I could find "trash" like that! Great find, it was meant to be. I can't believe someone was throwing her out! what a wonderful gift! Woo whoo!!!! I love her!!!! I can't believe that you found her on the curb. Lucky YOU!!!!! 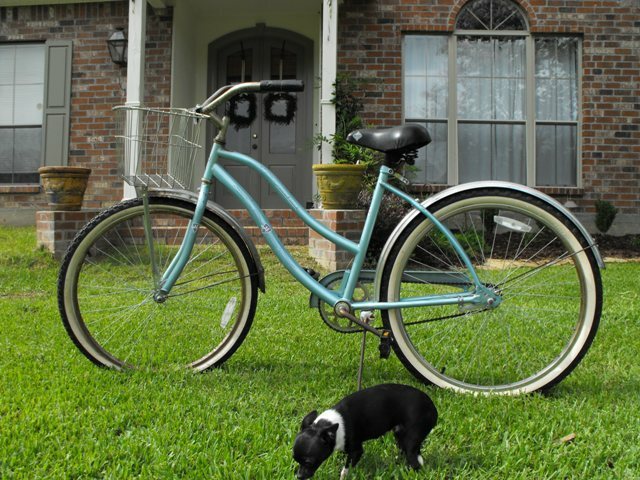 I just purchased a cruiser (added a wicker basket, too) and I have had the best time riding her. Check it out on my blog. So happy for you, Susie!!! Could she BE more perfect? color, style, she is the cutest! She is lovely. 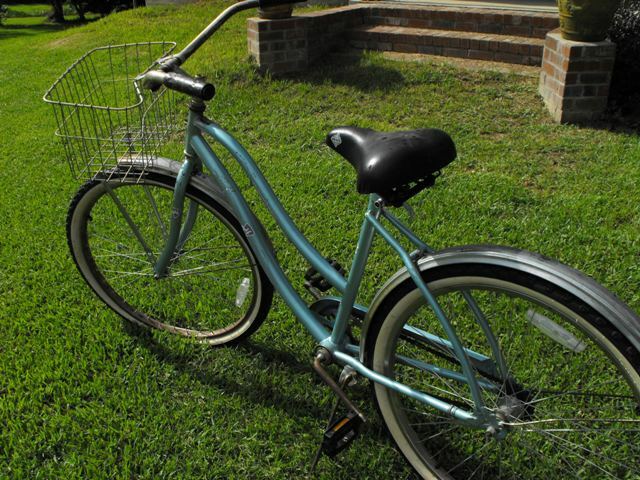 I bought a bike this summer and have been looking for a wicker basket too. 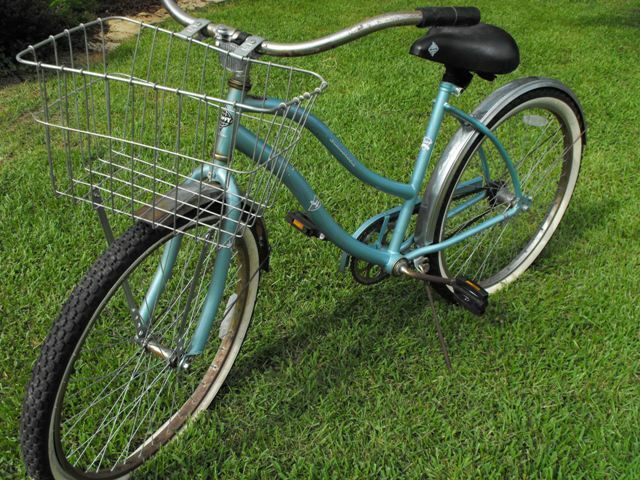 Check out Ebays "FRONT BICYCLE BASKET FOR BIKE Peterboro Ashwood". It's rocking my world! Such a great find. 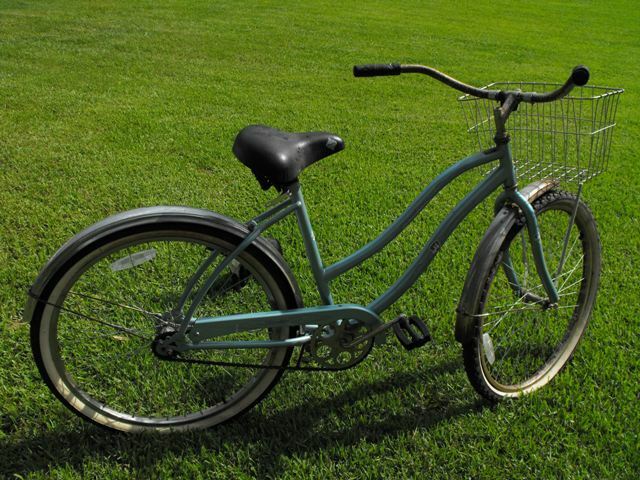 My daughter has borrowed her grandmothers bike like that but it's missing a basket like that and she's on the hunt for one. Yours is a great color too. My hubby is always too embarrassed to stop and pick up goodies on the side of the road. Hug yours for me and tell him I say way to go!!!! 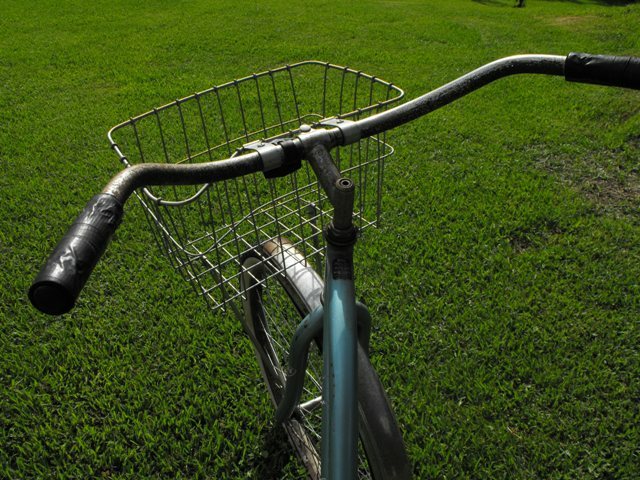 Oh I like the metal basket...I was just thinking I had seen one like that in an antique shop. A wicker basket is nice too~Walmart sells a nice old fashioned looking one!! I like the wire, too! You could just add a padded fabric liner for your little one's comfort. It could be cute spray painted first, too. Totally digging that ride! Whoever considered her trash doesn't understand the meaning of treasure! seriously cannot believe someone put that on the curb. wow lucky you! There. That's all I can say. Who would throw that away! You just got a "happy from God". Can't wait to see it finished. WOW, enjoy your treasure :) Sure, don't see treasures like yours in my area!! Woo Hoo...what a great find! !